In the morning the border guards of BD “Salovka” of Chop Detachment in the course of the coordinated actions with the Hungarian colleagues prevented the movement of the group of illegal migrants. Thus, at about 7 o’clock in the morning the border guards of Hungary informed through a common contact point “Záhony” about discovery of 10 illegal migrants, citizens of Afghanistan. In addition, it preliminary established that during the illegal movement across the state border 2 children from the group of 7 men and 3 women had fallen from the boat. The border detail was Immediately sent to check the bank shallows. Hungarian MOE together with the Ukrainian border guards performs monitoring along the river Tysa. There were no any results after the search of the children. The joint search operation continues. 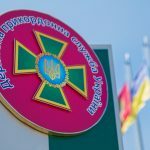 The State Border Guard Service of Ukraine appeals to the local residents of the border areas requesting them not to assist the organizers of the illegal business and not to become the accomplices in the tragic events. This entry was posted in Translated Media-News from Ukraine on May 9, 2018 by oksana.